Rajasthan’s capital city Jaipur has secured the third position in the list of world’s top 10 smart renewable cities (SRCs), along with United States’ city of San Diego on the top. Smart renewable is one that is defined with the use of solar or wind power and a plan of the smart city that includes a renewable energy component within its planning. According to the reports, the Pink City is a nationally-driven Smart Renewable City. The National governing body of India had created a 100 Smart Cities Mission that included a solar energy requirement. Jaipur does not have a renewable target but will benefit from ambitious state and national targets set this year, the city could achieve this prestigious title. For the records and information, with a population of around three million, Jaipur has a 20% wind and solar share of the electricity generated annually. Venice of the East and the City of Lakes- Udaipur is a lakeside paradise of shimmering marbles and oozing romance. A peaceful city on the banks of Lake Pichola wins hearts of millions. Udaipur is said to be one of the best cities in India. Well, turns out that it is not just best of India, but stands among the best cities around the world. It has been ranked third best out of the listed 15 best cities of the world by Travel + Leisure magazine based on sights and landmarks, culture, cuisine, friendliness, shopping, and overall value. Udaipur excelled leaving behind Mumbai and Delhi and is the only Indian city in the list. Known for its breathtaking scenery, class apart museums and luxurious hotels, Udaipur holds pride in its history. With the explosions of colors in the markets, Udaipur is a city full of cultural and traditional marvels. With its numerous lakes and unusually calm and peaceful aura in India, Udaipur has become World’s Third Best City making India proud. The Lake City, Udaipur is making the country proud at the global level. got featured in the ‘The World’s Top 15 Cities’ list in a survey done by famous magazine Travel and Leisure. Leaving Mumbai and Delhi behind, Udaipur grabbed the place in World’s best cities to travel. According to magazine Travel and Leisure, Every year for the World’s Best Awards survey, they ask readers to weigh in the different cities of the World on travel experiences around the globe — to share their opinions on the top cities, islands, cruise ships, spas, airlines, and more. Readers rated cities on their sights and landmarks, culture, cuisine, friendliness, shopping, and overall value.” And this is the final result that they provided. The lake city of Rajasthan, Udaipur is one of the finest tourist destinations in the state of Rajasthan, famous for its magnificent palaces and shimmering lakes with milky white architecture. It is popularly known as the Royal Wedding destination in India as well as across the borders. This is the first time in history when the World’s Best Hotel is coming from the state of royal Rajasthan. Jodhpur’s Umaid Bhawan palace has won the Travellers’ Choice award of ‘Top Hotel in the World’ by Trip Advisor. Set in the serene desert land of Jodhpur, Umaid Bhawan palace stands as an oasis of hospitality and warm Rajput charm. The Palace is one of the largest private residences in the world which was built for Maharaja Umaid Singhji in the year 1943. Set amid lush gardens, with 64 hotel rooms and suites the royal palace echoes eras of traditions and offers the finest of Rajput hospitality and gives a memorable experience for the guests. Umaid Bhawan Palace in Jodhpur has bagged not only the topmost position in the top hotels category in India and the world, but also won the most number of awards (7) by an Indian hotel across categories. So whenever you are visiting Rajasthan, plan a holiday to taste this royal luxury! 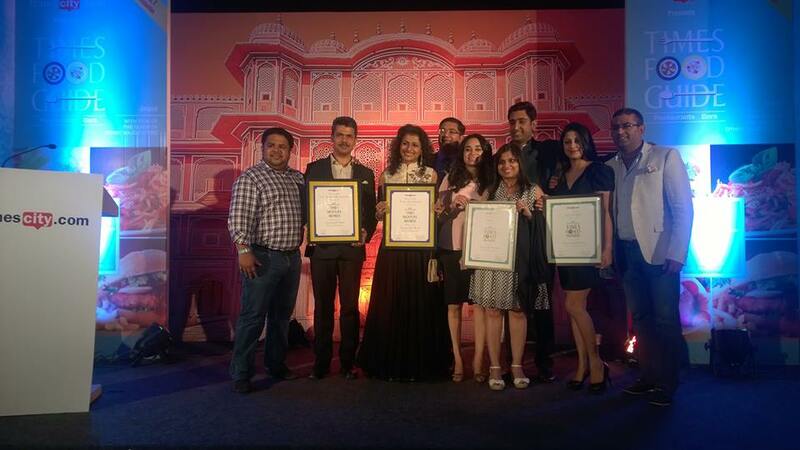 Jaipur witnessed an exciting evening celebrating tourism excellence at the Crown Plaza, Jaipur. Jaipur is an enthralling historical city and a gateway to India’s flamboyant state of Rajasthan. Rajasthan is keeping its heritage and culture alive by preserving it into heritage hotels. Rajasthan is undisputedly known for its heritage hotels. One such is Ajit Bhawan, Jodhpur which proved well by bagging the Best Heritage Hotel Award by the India Travels Award 2015. Ajit Bhawan, Jodhpur is one of the first concept heritage hotels set in the colorful Rajput fabrics. It has a grandeur and magnificence of royal Rajasthan and stands as an epitome of self indulgent and upscale hospitality in Jodhpur. The magnificent Jaipur Marriott yesterday evening was all at glory with experts from best of the best food world. It was the night of the Food Oscars, where the best in the business walked away with the top honours in the culinary world. 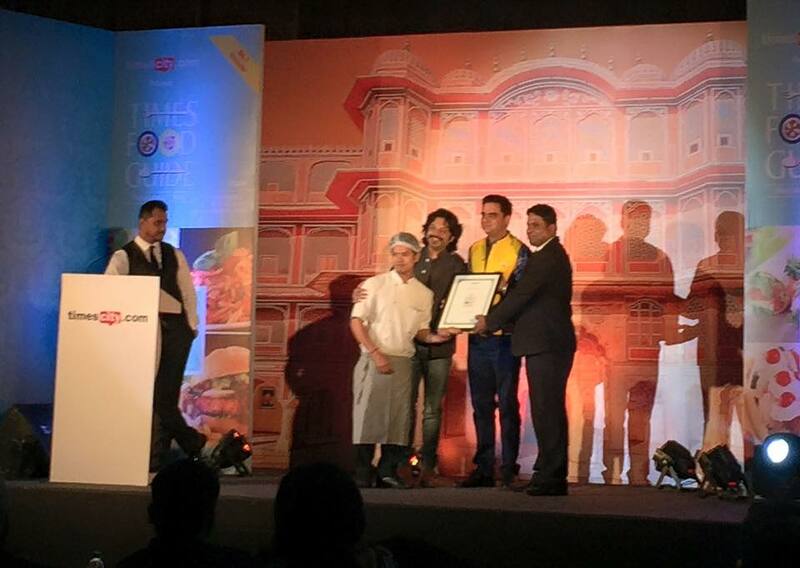 The Times Food Awards Jaipur, 2015, where the food enthusiasts celebrated the best of the culinary world — the best chefs, the best restaurateurs, the best bars were there to honour and get honoured. Yesterday evening, all the food lovers of the town including guests from neighbouring states and abroad came together to celebrate a gastronomically-rich evening that’s unparalleled in taste. The chief guest of the evening, TV actor Ashish Sharma, gave away the awards to the best in the business. Around, 34 winners in 21 food and nightlife categories walked away with the commendation plaque. 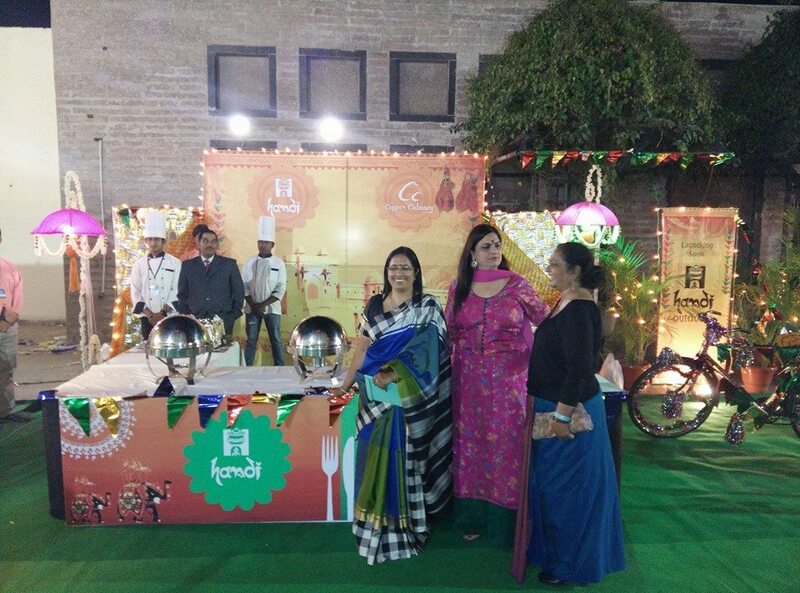 Along with the Food Oscars, the 2015 edition of the Times Food Guide in Jaipur was also unveiled during the event. This handy, easy-to-use Times Food Guide Jaipur 2015 will make eating out and having a good time all the more fun in Jaipur.